‘’One day – maybe even today — a child will be born who will never use a steering wheel, because the car will drive itself. They won’t even buy a car — they’ll simply share one from a sharing service. They won’t ever fill up a gas tank, but will always plug in the car to be recharged. They won’t know about paper maps, because they will have long disappeared. They will drive down a road that has streetlights that fulfill multiple purposes — they’ll be fitbits for cities, smart chargers for electric cars, wi-fi hot spots, and intelligent highway traffic manager monitors. Not your grandfathers streetlight! Today’s 2 year old is going to live in a world that we would barely recognize today. 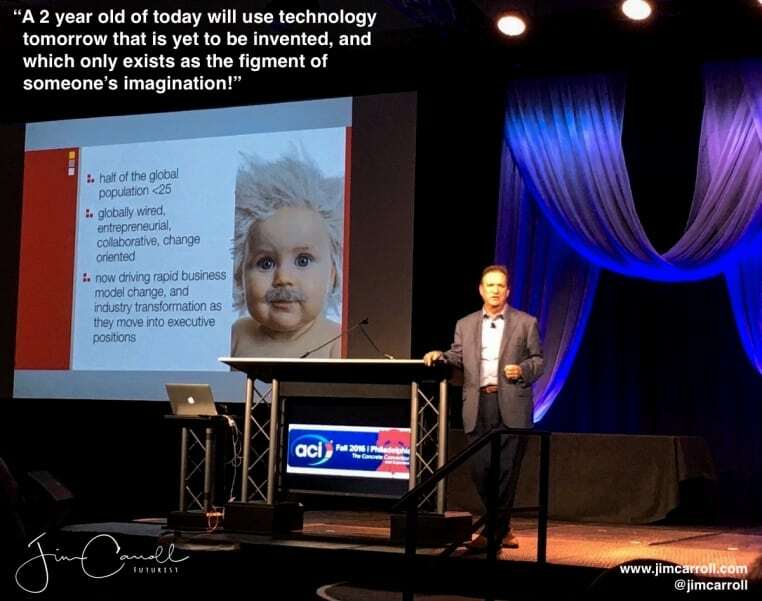 Change and technology is accelerating and exponentiating.